Lisa and Jesse's personalities are energetic, down to earth, and professional so it made us feel very comfortable throughout the entire day. We really appreciated having two photographers. It gave us a good balance between formal and candid shots. Plus, it was great to have a male/female duo to be able to capture every aspect of the wedding. Jesse Valley Photography exceeded our expectations in every way! We ended up with an incredible amount of pictures that are all amazing. 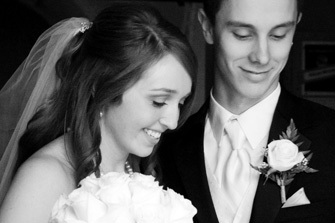 We chose Jesse Valley Photography because we love their style. Andrew and I favor the photojournalism style however we knew our family would prefer the posed pictures, and we love that JVP captured both so well. We never really noticed Jesse and Lisa taking pictures—yet they discreetly captured some really great moments! Not only did we get amazing pictures but it was awesome to work with them. They're so professional and organized. And as a bride, it was nice that I didn't have to worry about such a huge aspect of the wedding. Having great pictures was one of the most important parts of our wedding and we couldn't be happier. You made us look great! We really appreciated that Jesse met with us before our big day to get to know us and what we wanted for our wedding. Jesse and Lisa are very organized and professional. They did a great job of photographing our wedding. We barely even noticed that they were there, but when we got the pictures back, they had captured all of the greatest moments of our wedding day—from getting ready until the moment we drove away. We loved that they gave us such a great variety of artistic close-ups, action shots, and posed pictures. Jesse and Lisa both see things in slightly different ways, so it is great to have a mixture of the creativity from both of them in our wedding pictures. 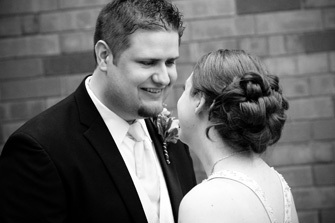 Jesse and Lisa's focus on telling our wedding story was wonderful. The balance between taking creative pictures while still staying on schedule was great. 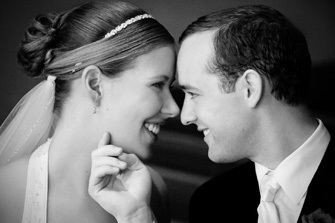 We appreciated all the extra little things they did for us during the planning process and on our wedding day. That is what really sets Jesse Valley Photography apart from other photography companies. They're concerned with making sure the bride and groom are happy with their pictures and that all the moments, even the small ones, are captured. Even though it rained on our day, they were able to come up with creative and romantic pictures that celebrated the rain and used it to our advantage instead of just retreating to inside locations. The pictures are amazing, the service was unbeatable and the quality of the album is exceptional.